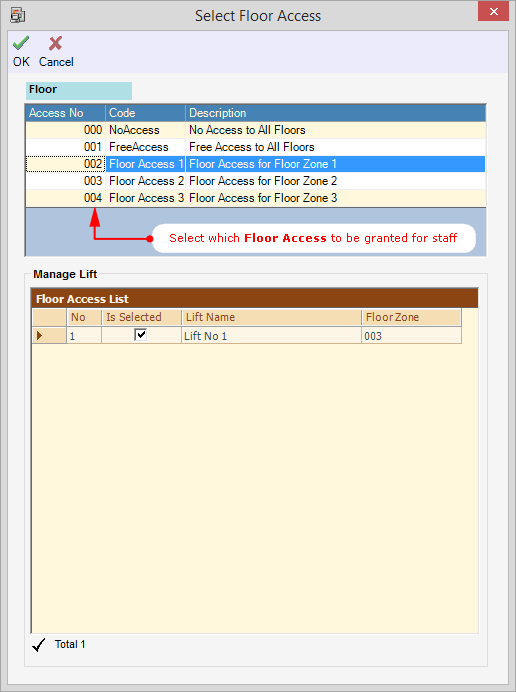 › How to configure XP-SNET Lift Floor Access at xPortalNet Client? Run xPortalNet Client. Make sure the xPortalNet Server is already running and controller is up. Make sure the setup at xPortal Server already configured. See AA-00300 for the configuration steps. » Set the Time Interval for user to access the Lift. 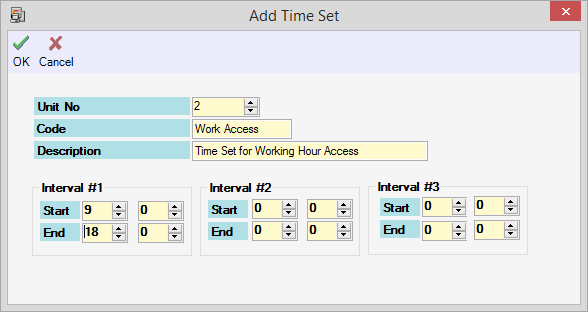 » Select the Time Set on selected day for user to access the lift. 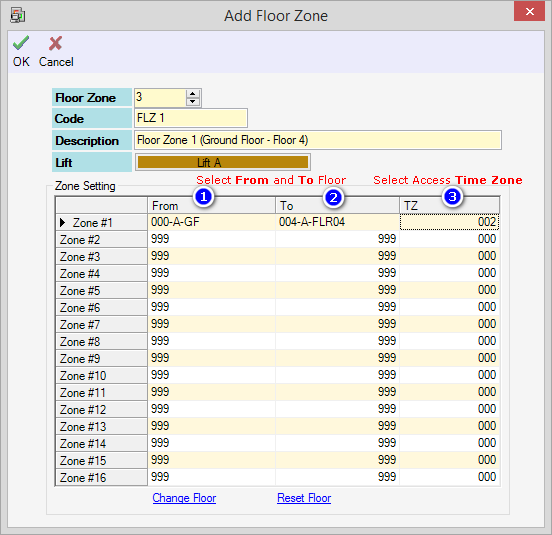 Specify which floor(s) user can access and which Time Zone will be applied to every Zone #. » TZ selected is as configured at Time Zone Setup above. 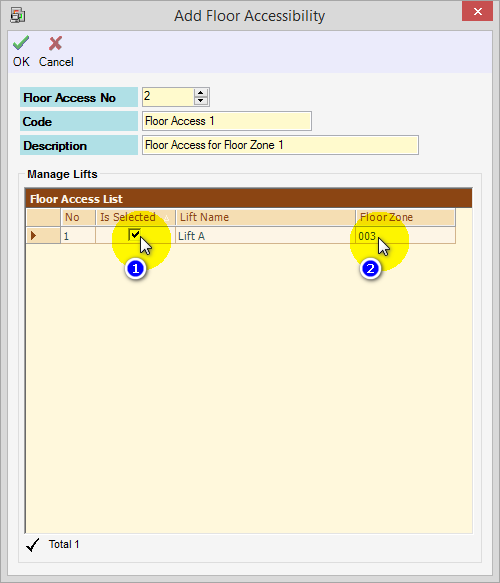 Select which Lift user can access and Floor Zone will be applied to every Lift. 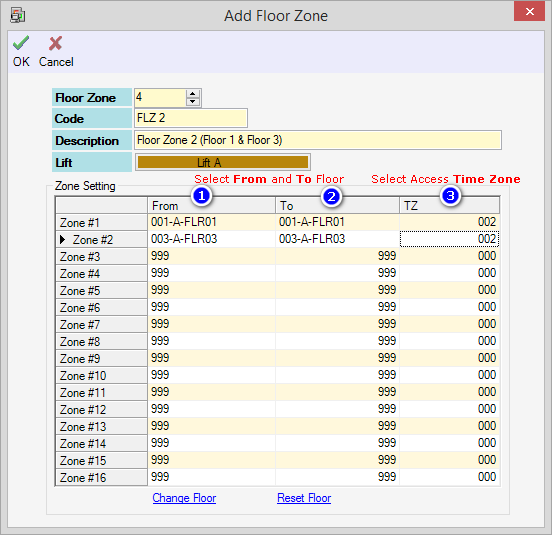 » For this setup, user can only access from Ground Floor until Floor 4 as Floor Zone selected is 003. 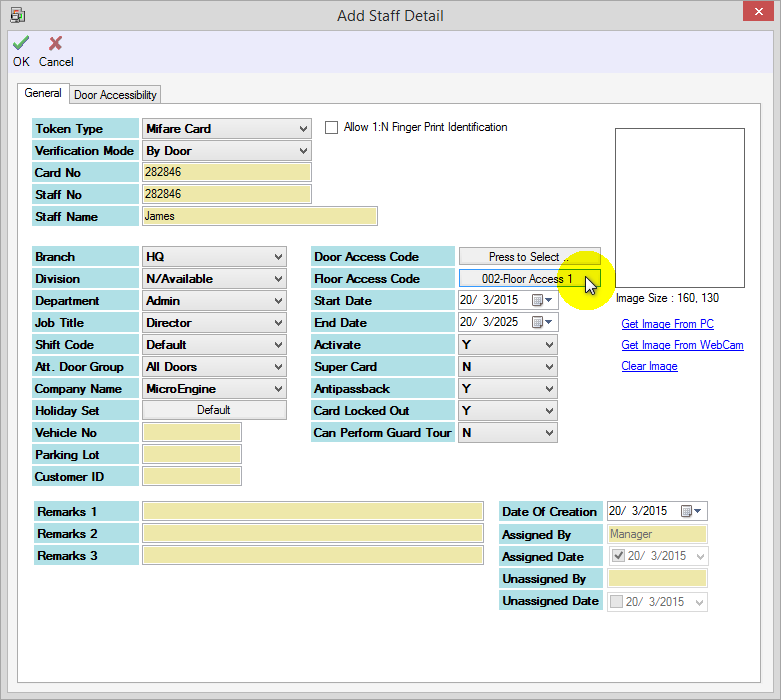 Apply the Door Accessibility and assign the Floor Access Code to the staff. 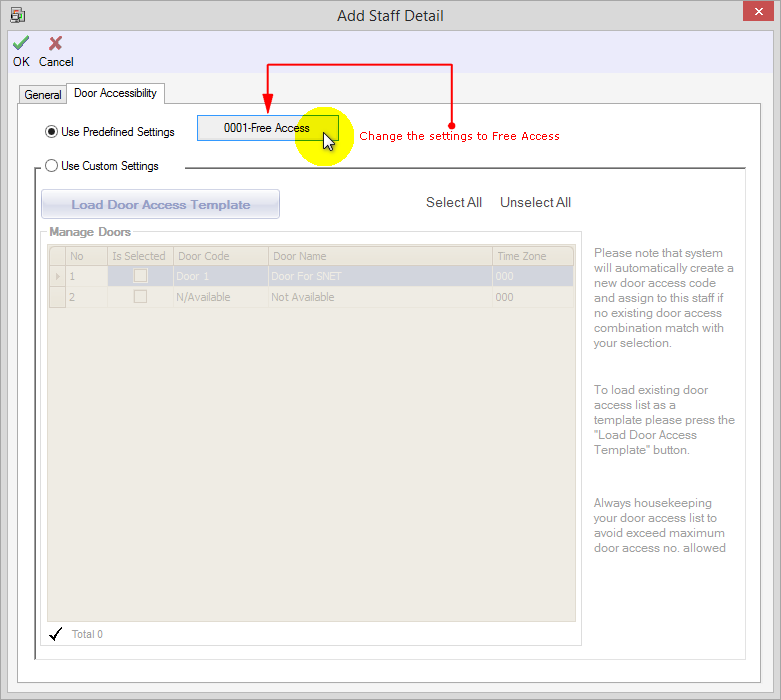 At Door Accessibility tab, select Use Predefined Settings and choose Free Access. At General tab, set Floor Access Code for the staff. You have completed the setup at xPortal Client. Flash card to the reader to check and verify the floor accessibility. Summary: This article contains steps to configure the XP-SNET Lift Floor Access at xPortalNet Client.